FINAL SALE. This cute crochet vest is perfect to toss on over a fitted tank to instantly create a unique put-together look. The Golden Touch Beige and Gold Crochet Vest is made of a beige open knit crochet fabric with gold threading intertwined. 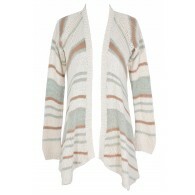 This vest looks adorable worn over a fitted beige tank top with denim and flats or heels. 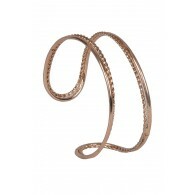 This would make a cute outfit to toss on anytime you are out shopping or running errands. Details: 55% ramie, 45% cotton. Dry clean or hand wash cold. No bleach. Small measurements: Length from top of shoulder to hemline: 26". 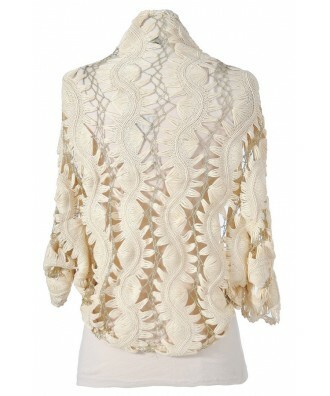 You have added Golden Touch Beige and Gold Crochet Vest into Wishlist. You have added Golden Touch Beige and Gold Crochet Vest for Stock Notification. 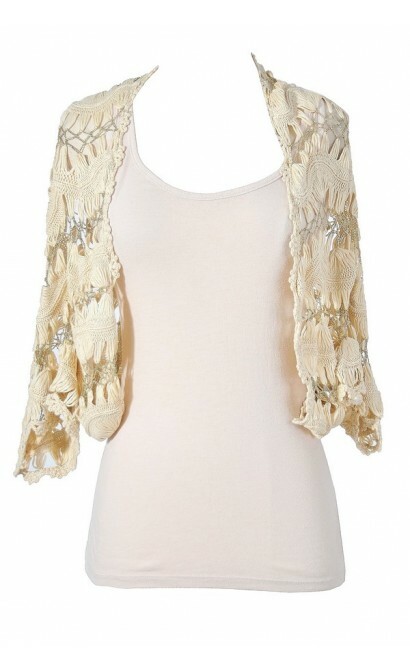 You have set Golden Touch Beige and Gold Crochet Vest as a loved product. 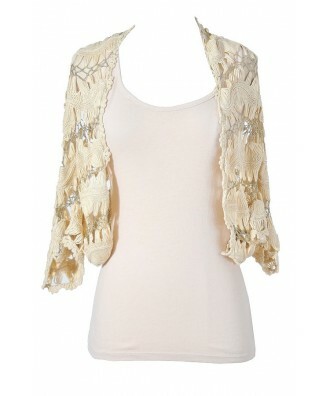 You have removed Golden Touch Beige and Gold Crochet Vest as a loved product.